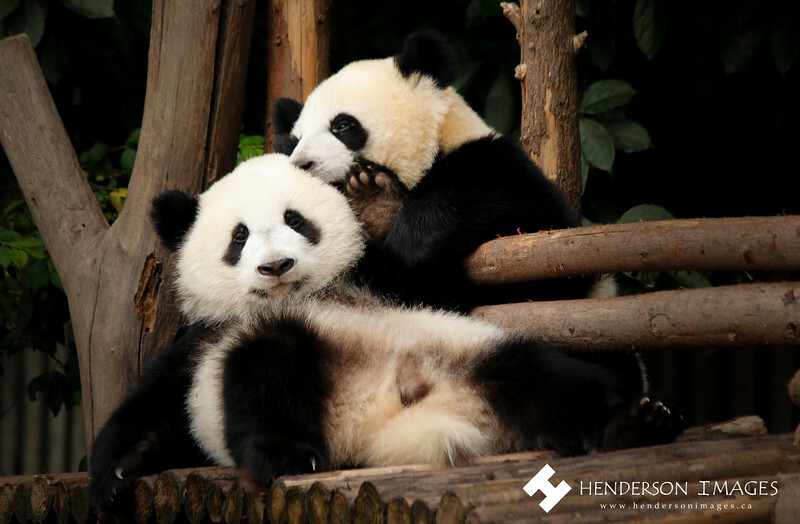 Pandas play around at the Chengdu Research Base of Giant Panda Breeding. 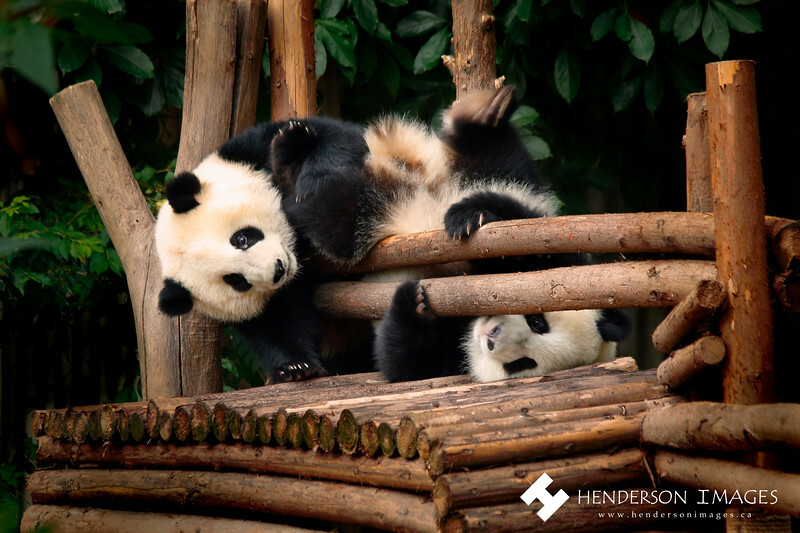 Two pandas play together at the Chengdu Research Base of Giant Panda Breeding in Chengdu, Zhongguo (China). For licensing or to purchase prints contact Scott at createbeautifulphotos@gmail.com. 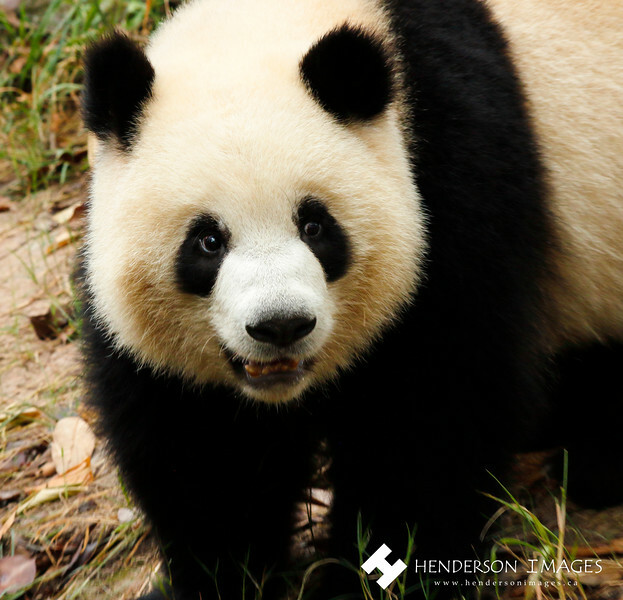 One happy panda at the Chengdu Research Base of Giant Panda Breeding.